Kim Wille, left, received the Netro Volunteer Heart of Volunteerism Award last spring from Drew Schelling, Garfield County coordinator for the Cooking Matters program. That recognition led to Wille being honored by Points of Light, a national program promoting volunteerism. El Jebel resident Kim Doyle Wille was recognized Aug. 16 for her efforts to improve healthy food options for students and families in Garfield County by Points of Light, the world’s largest organization dedicated to volunteer services. Wille received a Daily Point of Light Award for her ongoing commitment to Growing Empowerment, which distributes seeds to local gardeners. They grow vegetables and seeds to share with Lift-Up food pantries from Aspen to western Garfield County. It’s a way to provide healthy food options to people in need of assistance. Through Growing Empowerment, Wille is able to collaborate with Cooking Matters, a national nonprofit organization dedicated to making sure all kids have the healthy foods they need every day. 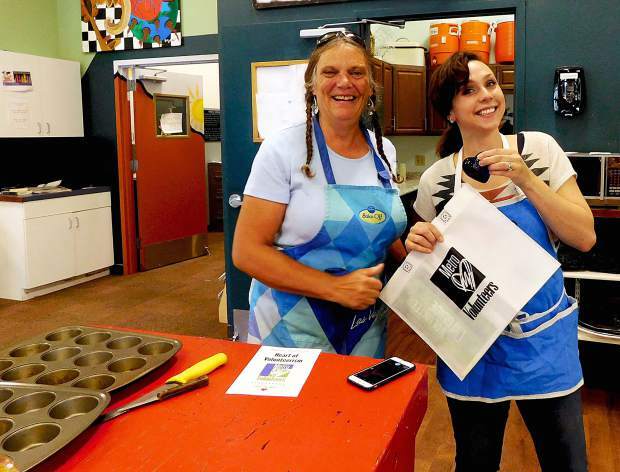 One of the collaborations has been teaching at-risk teen parents at Yampah Mountain High School to make healthy meals on a budget and give them access to healthy food resources in the community. “Giving them basic life skills so they feel confident and they can feed themselves, that’s a great thing,” Wille said. Her efforts expanded into starting an after-school gardening program where students could learn to grow fresh produce and prepare healthy, fresh meals for their families. The Point of Light Awards originated with President George H.W. Bush when he was in office. A nonprofit organization continued the mission after he was out of office. More than 6,500 recipients have been honored for their volunteer efforts in the U.S. and Great Britain. Wille hopes to inspire and show others they can make a difference in their communities.